One L.A. photographer's "obsession" with abandoned couches tells a story about the City of Angels. It's a sixth sense, he says, the way he can see the couches. 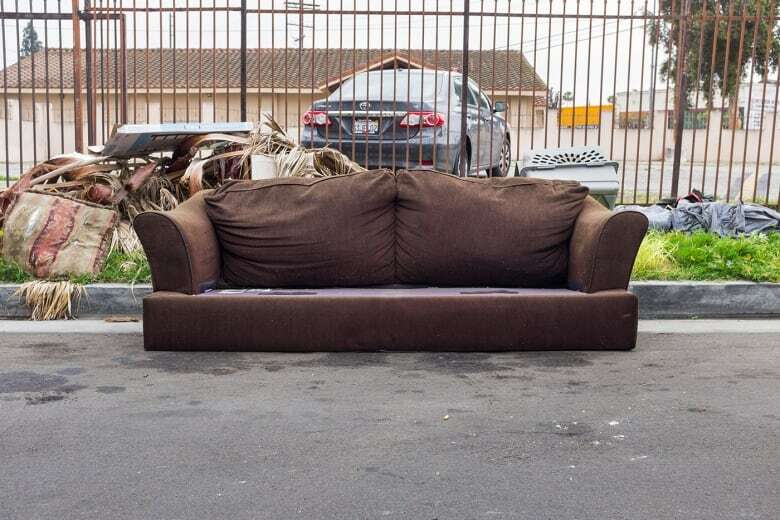 "They tend to lurk and you kind of have to look carefully," Andrew Ward says as he drives through the streets of L.A.'s West Adams neighbourhood, scanning the curbs for abandoned furniture. Somehow he spots one hidden behind two parked cars. "We're south L.A., just south of the 10 freeway and La Brea. And there's our first candidate there. It's an armchair, but it's good," Ward says. The candidate is a grey one-seater adorned, for a reason only known to its former owner, with a seatbelt. It looks a little like Captain Kirk's chair ... if Kirk were homeless. The photographer grabs the chair and drags it into a better position for his shot. Does he ever fear bedbugs? "Not so far, but I don't lie down on them or anything or get too comfortable," Ward says, smiling. "I try to keep the touching to a minimum if I can." But even as Ward wipes his hands he somehow finds beauty in it. "Although they're inanimate objects, there's a certain amount of humanity to each one," Ward says. Twenty years ago, Ward left Dublin and, after a stint in Vancouver, came to Los Angeles, where he still works as a Hollywood first assistant director. Ward shooting a couch in the West Adams neighbourhood of Los Angeles. (Kim Brunhuber)He was driving home one day when he noticed something he rarely saw in Ireland. Couches ... just left there out on the curb. "And I just for some reason just began photographing them," he says. And now, he says, he can't stop. This armchair, for instance. "It may not necessarily be designed for this space, but you have the blue that's in the sofa here working with the blue it's up against," Ward says. "I try to shoot them on overcast days because you're free from the emotions that say sunlight brings to a photograph. In a more muted or overcast condition, you tend to see clearer, free of the shadows and you can see the colour a bit better. I know that doesn't sound very L.A., but that's what I found." Ward isn't prolific, but his work has appeared in several European inflight and photography magazines. He takes two shots with his Fujifilm X100, then drags the furniture back to its original position. "Right," he says, "let's find our next victim." He finds his next victim three minutes later: a brown sofa on the grass. And about five minutes later, another brown couch — a love-seat covered in dog-hair. "This is nasty," Ward says, as he drags it into better light. In about half an hour of searching, we find five. 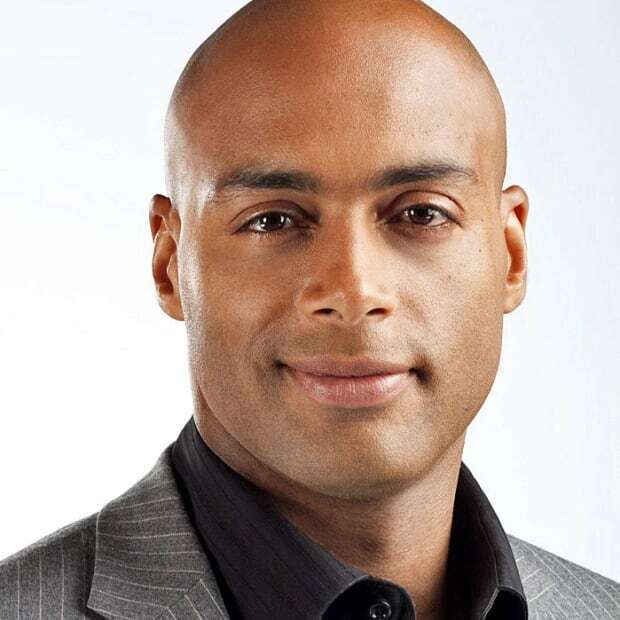 "You multiply that citywide, figure out how many sofas are on the streets," Ward says. "Thousands of them." 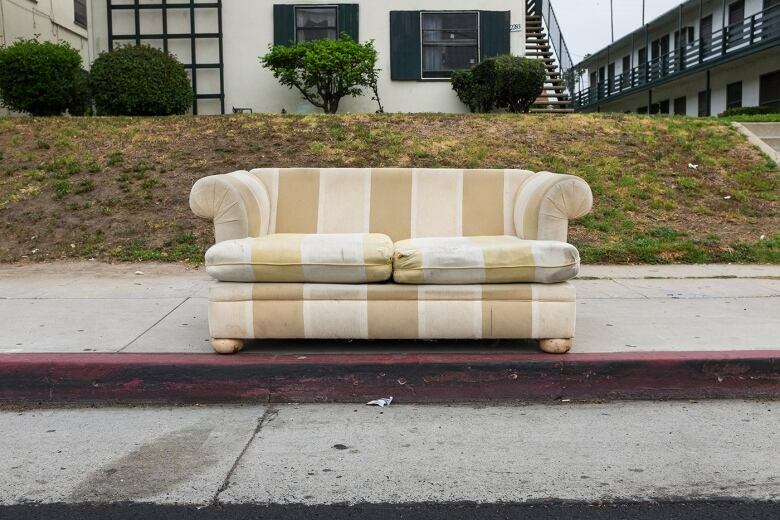 Ward has a theory — two, actually — about why there are so many curbside couches. L.A., he says, is becoming a restless city. A hub of transient residents ... people passing through in search of opportunity. "So you have this community of people that are somewhat what I consider temporary residents here," Ward says. "They're coming here because they thought it would bring them something greater in the short term, or perhaps migrant families that are being evicted and you have to bring all of your possessions with you, so there's that element." And then there's the other element. The couches are an ugly symbol of how we're becoming, more and more, a disposable society. "We buy something one day that then next thing is no longer in vogue and gets thrown out on the sidewalk as trash." But they're more than just trash, Ward says. Each couch tells a story, and is as culturally relevant as a statue. "It's sort of a small visual history of these areas as well," Ward says. He shoots couches wherever he sees them. But he says he most often comes across them in working-class neighbourhoods. Ward has been doing this for three years, photographing more than 600 couches. Eventually he hopes to publish this visual history in a book. Ward isn't the first to photograph abandoned furniture. But this is what makes him unique: after each shot, he pulls out his phone and reports the furniture's location to the city for pickup. 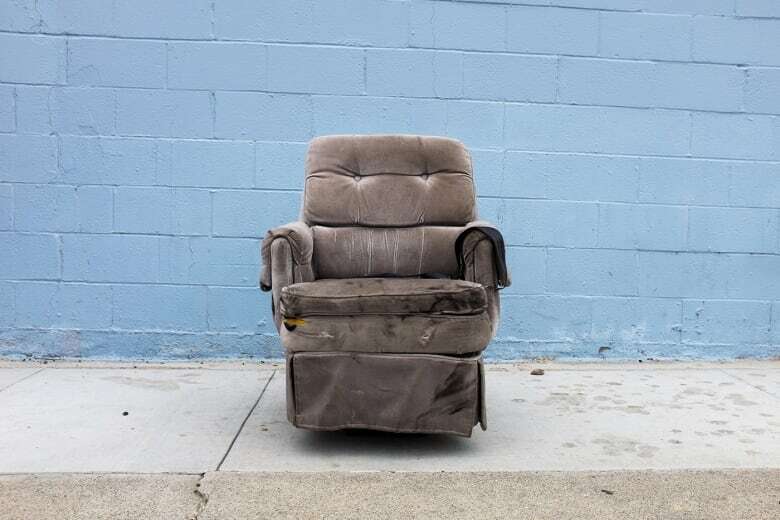 It's part of a new municipal program to get rid of junk, before people are encouraged to dump more of it on the street. "I can't just photograph something and then say, OK I got what I want from it, goodbye, and it lives there for the next three weeks," Ward says. "If there is this service that the city will come and collect or pick it up, I should contribute to that and I should become part of the solution." As he photographs a third abandoned brown couch, a woman yells, "Thank God for you, you're cleaning up the neighbourhood." When asked if this is a typical reaction, Ward shrugs. "I think most people kind of get it in the end, but when you pull out your camera and start photographing it, they definitely think you're nuts." Just ask Gabriel Juárez. He watches Ward shoot a couch that has been on his street for weeks. I ask him if he sees any beauty in a couch sitting on the curb. Juárez laughs. He just wants it gone. Ward reports the couch's location and gets back in the car. His last couch of the day is a cream striped loveseat. Ward slips on a fluorescent bib. He doesn't want to get hit by a car as he kneels in the street to shoot it. "It would be a rather sad obituary," Ward says wryly. "It's not exactly like I'm a war correspondent." The couch is his favourite so far. It has good bones, he says. "You pick it up, it's got a certain amount of weight to it," Ward says. "I bet it's a pretty comfortable sofa." If he was going to take one couch home, he says, this would be the one. A woman waiting at the bus stop says it's been there for a month. He can imagine how this looks to her: it seems like this man in an official-looking bib is going to finally drag this eyesore away. Instead, he just rearranges it. "There's a strange and sad beauty to these photographs," Ward says. "It doesn't seem obvious but nothing ever does when you begin working on it. It's a labour of love that you kind of obsessively work on."